Watching the newly caught creek snails draw random trails in the green algae that was starting to grow on the fishtank walls, it affords a chance to reflect on the pathways we create in life. I only just finished and tested the first maze I've drawn in years, starting it during a particularly uninteresting lecture last week, as the teacher took his time, slowly working through the lesson plan with little interest himself. 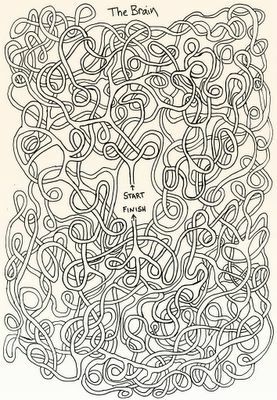 When I was younger, in primary school, I was - for some reason - fascinated with mazes and would always be drawing them, filling pages and pages of school notebooks with wild, winding pathways in no time at all. It's incredible how industrious you can be as a kid, bored in school. 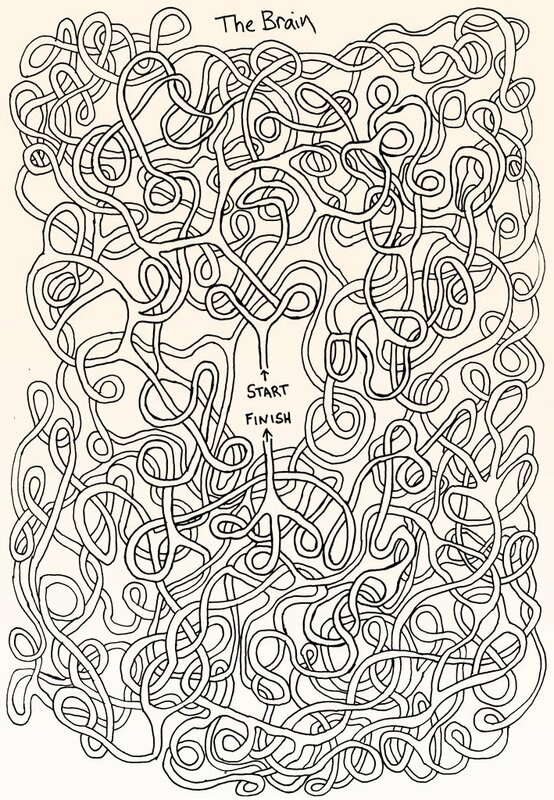 In my once naïve innocence, I dreamed of drawing the largest, most intricate and difficult maze in the world and got started using a big book, with all the pages interconnected with different numbers and everything. I wonder where that book is today. I have a fascination with spirals, one continuous circle. That would be an interesting study, peoples associations/attraction with certain shapes or games. What games fit in the head, the environment of the mind, inside and out, to which a few certain patterns and shapes owe a great deal of their existence. Interest also lies in cultivating shapes and games with hardly a mind to call home. Spiral shapes are used a lot in imagery, like photography, ads, design etc as a way to aid the viewers eye.